A Canadian-favourite tradition continues with the 2018 Toyota Tacoma. This versatile truck is prepared for fun and adventure with some serious engineering. The vigorous, energetic look matches the power of the Tacoma’s 3.5L V6 engine that puts all the power you need at the tip of your fingers. Interior accents and new technologies make the Toyota as comfortable on the inside as it is tough on the outside, gearing you up for today’s adventure without compromise. 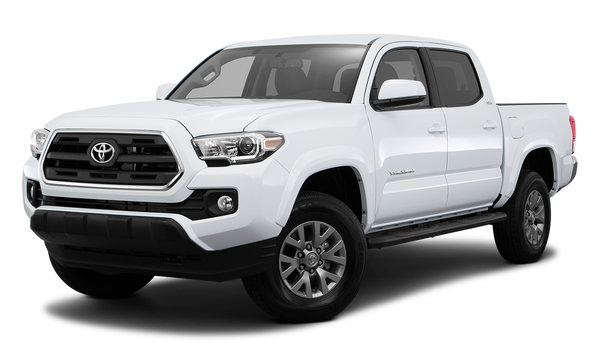 Come experience the 2018 Toyota Tacoma at Sherwood Park Toyota today. The 2018 Toyota Tacoma is the perfect combination of tough and smart. 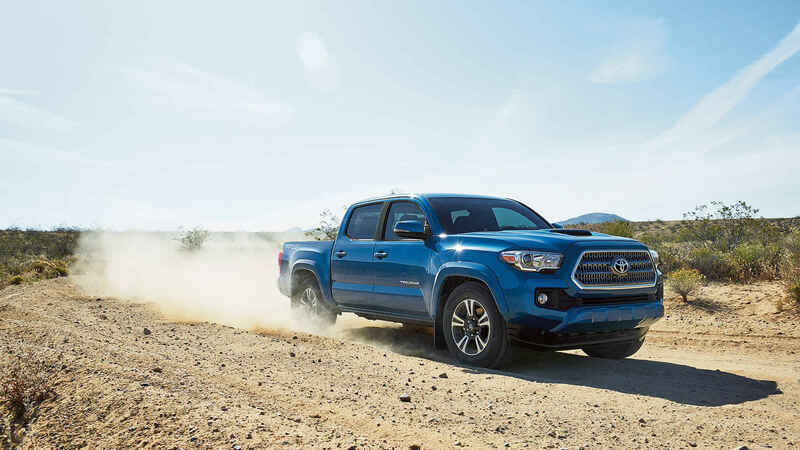 The 2018 Toyota Tacoma’s 3.5L DOHC V6 cranks out a powerful 278 horsepower and 265 lb.-ft. of off-roading torque. Atkinson technology produces better efficiency by creating longer strokes which releases fewer emissions. The 4×4 Double Cab v6 Limited Tacoma offers an impressive 6000lbs of towing capacity. It’s okay, go a little wild. Tacoma is packed with standard safety features designed to help keep you out of harm’s way even on the most rugged roads in Canada. Tacoma offers a full complement of airbags, including dual-stage driver and front passenger, front seat-mounted side airbags, roll-sensing side airbags, and the newly added driver and passenger knee airbags. Experience stopping power courtesy of advanced anti-lock brake system complete with electronic brake-force distribution. From the athletic hood scoop to the embossed tailgate, you’ll show off without even trying. With standard features including halogen headlamps, power-adjustable mirrors, rear step bumpers, a double-wall cargo bed, and fog lamps, Tacoma blends form with function and a top-coat of adventure. No matter where you are, wield 120 volts and 400 watts of energy any time. 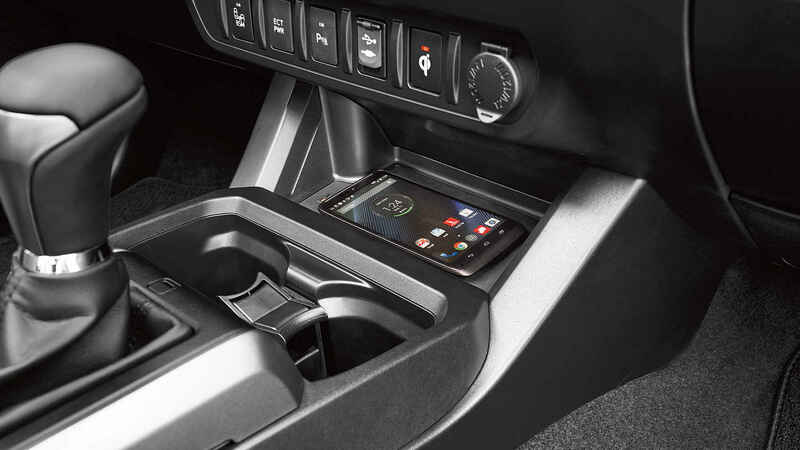 Located within the cargo bed, fear no power outage and charge up when there’s no other outlet in sight. Tacoma’s interior is built to handle whatever you throw at it or in it, and keep you comfortable no matter what the terrain. Whether you choose an Access Cab or Double Cab, you’ll enjoy plenty of room, form-hugging seats, soft-touch materials, and an arsenal of standard features, options and upgrades to meet most any need. Inside you’ll find comfort and convenient features like wireless charging and power moonroof, along with a 7-speaker JBL premium audio system for an immersive sound experience. Tacoma puts you firmly in the driver’s seat, placing climate controls, audio functions, and multi-media information all within easy reach. There’s no better way to experience the all-new 2018 Toyota Tacoma and all it has to offer than sitting in one. 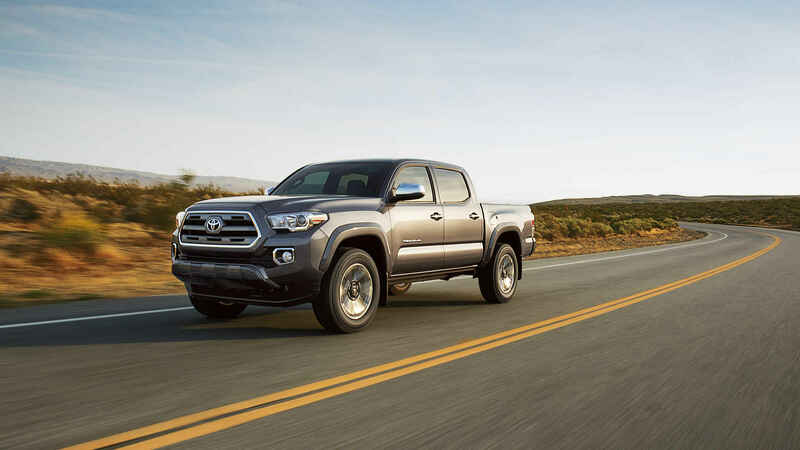 From the modern, customizable interior to the powerful engine and workhorse attitude, there’s a Tacoma for everyone. Come down for a test drive at Sherwood Park Toyota at 31 Automall Rd, Sherwood Park, AB T8H 0C7 or give our expert Sales Staff a call at (780) 410-2455 to book an appointment today. Comes with excellent features that include touch panel display, power windows, heated mirrors, auto dimming rear view mirror and much more. Cash price advertised, financing and leasing available on approved credit. Features include: - Heated Front Seats - Wireless Charging - Back-Up Camera - Lane Departure Alert - Blind Spot Monitoring Give us a call at (780) 410.2455 to book your appointment today at Sherwood Park Toyota. Located at 31 Automall Road in Sherwood Park, AB. Discounts advertised use Toyota cash rebates and are subject to Toyota rules and regulations. Some rebates may not be available depending on type of sale. Rebates may not be combined with finance options. Offers may change at any time without notice by manufacturer. Please see Dealer for details. Comes with excellent features that include touch panel display, power windows, heated mirrors, auto dimming rear view mirror and much more. Cash price advertised, financing and leasing available on approved credit. Features include: - Heated Front Seats - Back-Up Camera - Crawl Control - Multi-Terrain Select - TRD Snorkel Give us a call or text us at (780) 410.2455 to book your appointment today at Sherwood Park Toyota. Located at 31 Automall Road in Sherwood Park, AB.